The Harley Stage at the Summerfest grounds have some interesting decor (or advertising, if you're a stickler for detail). 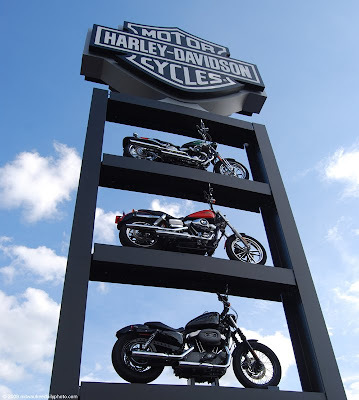 This tower shows off some samples of Milwaukee Iron, and certainly catches your eye from a distance. From the home of the TT Road races this is such a cool image.